How do you combine your love of bakelite with your penchant for gambling? With a bakelite roulette wheel. [Catalogue No. 1324/1, to be precise.] This beautiful roulette wheel hasn’t been out of its box- it is in pristine condition although its box has seen some wear and tear. It comes with a printed green felt baize [not pictured] and a little timber ball ~which was still taped to the wheel when I bought the set. I have other bakelite items made by Duperite- see ‘Green bakelite pieces’ post below- an Australian bakelite company that made, as well as domesticware, lawn bowls and -apparently- roulette wheels. 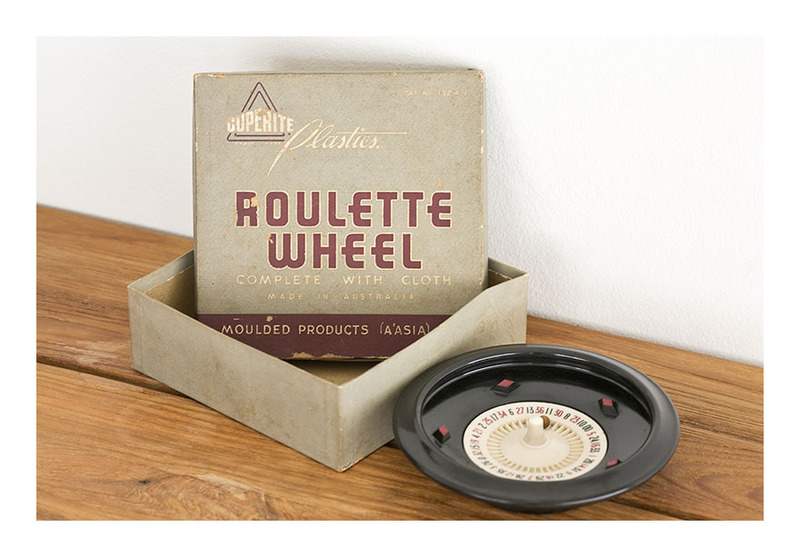 I must have been the only person who didn’t have one at home as a child…everyone I have shown this roulette wheel to has exclaimed that they remember having one! That might explain why 1] I am so attracted to it [pure envy] and 2] why it elicits so many nostalgic sighs from my friends. 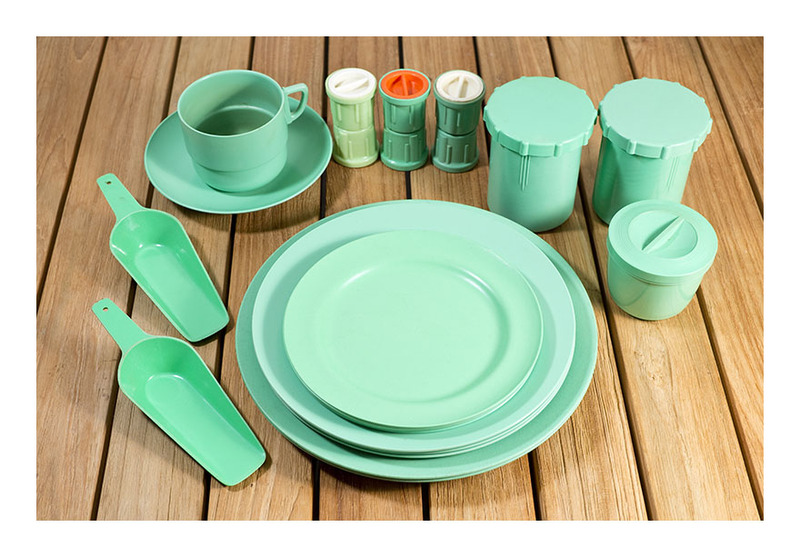 And so to the green bakelite. All the pieces in the image are made by Marquis, with the exception of the scoops which were made by Duperite. There were ten companies producing bakelite domestic ware in Australia in the post-war period, and I have examples of them all! I particularly like the salt and pepper shakers – there are three sets in this collection, seen in the middle at the back of the image. The top and bottom of the shakers separate to reveal the two shakers; and you can see that the screw-on bases were often different coloured bakelite.